It’s about time! 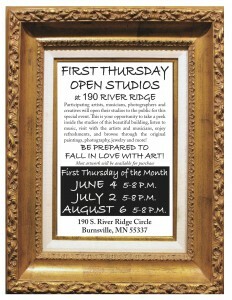 There is Art Night South of the River in Minneapolis. Beginning on June 4 and continuing through the summer (and hopefully beyond!) 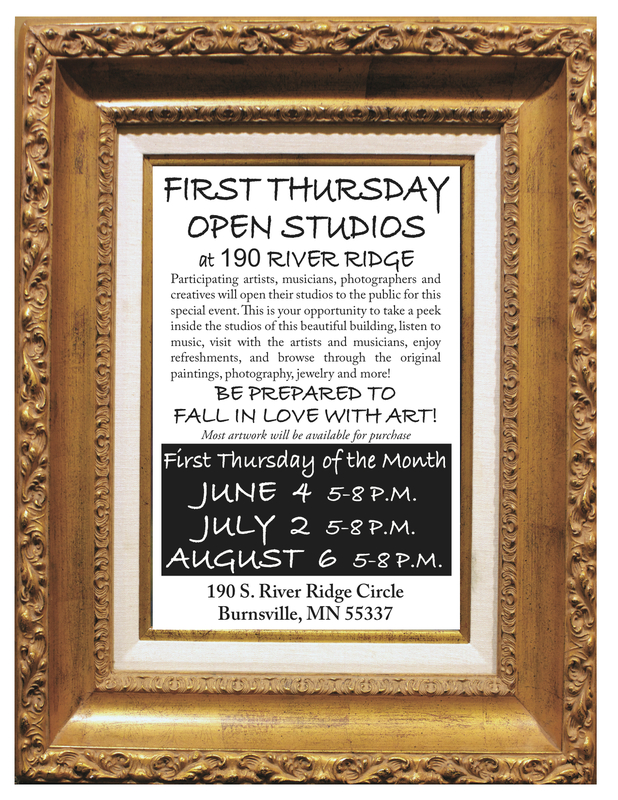 my studio, and the studios of other artists, musicians, businesses and creatives at the 190 S. River Ridge Building will be open. Prepare to Fall In LOVE with ART! This is your opportunity to take a peek inside the studios of this beautiful building, listen to music, visit with the artists and musicians, enjoy refreshments, and browse through the original paintings, photography, jewelry and more! Most artwork will be available for purchase! I’m thrilled to be part of the collaborative that is making this happen. Come join the Fun!